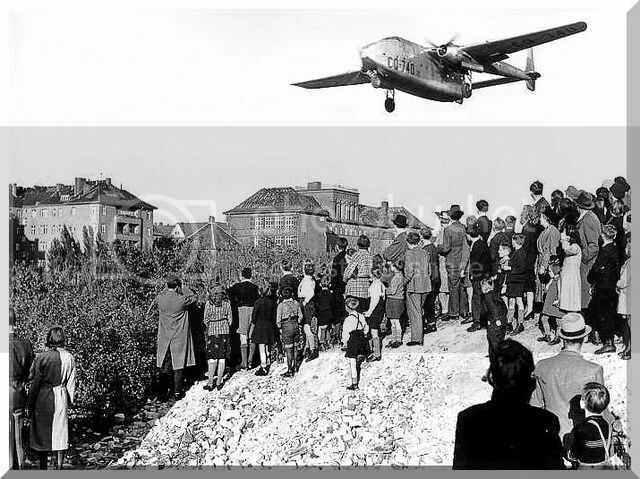 The start of the Berlin airlift. In response to the Soviet blockade of land routes into West Berlin, the United States begins a massive airlift of food, water, and medicine to the citizens of the besieged city. For nearly a year, supplies from American planes sustained the over 2 million people in West Berlin. On June 24, 1948, the Soviet Union blocked all road and rail travel to and from West Berlin, which was located within the Soviet zone of occupation in Germany. The Soviet action was in response to the refusal of American and British officials to allow Russia more say in the economic future of Germany. The U.S. government was shocked by the provocative Soviet move, and some in President Harry S. Truman’s administration called for a direct military response. Truman, however, did not want to cause World War III. Instead, he ordered a massive airlift of supplies into West Berlin. On June 26, 1948, the first planes took off from bases in England and western Germany and landed in West Berlin. It was a daunting logistical task to provide food, clothing, water, medicine, and other necessities of life for the over 2 million fearful citizens of the city. For nearly a year, American planes landed around the clock. Over 200,000 planes carried in more than one-and-a-half million tons of supplies. The Soviets persisted with the blockade until May 1949. By then, however, it was apparent to everyone concerned that the blockade had been a diplomatic fiasco for the Russians. Around the world, the Soviets were portrayed as international bullies, holding men, women, and children hostage in West Berlin and threatening them with starvation. The unbelievably successful American airlift also backfired against the Russians by highlighting the technological superiority of the United States. By the time the Soviets ended the blockade, West Germany had become a separate and independent nation and the Russian failure was complete. The Khobar Towers are bombed in Saudi Arabia kills 19 US servicemen.